Best Animation was won by 'Toy Story 3'. It was up against 'How To Train Your Dragon' and ' The Illusionist'. 'Toy Story' was the obvious choice but in my opinion 'The Illusionist' is a much better film, not only in terms of animation, but story too. There was also a glaring omission in this category with Javier Mariscal & Fernando Trueba's wonderful feature film 'Chico And Rita' not even getting a nomination. Best Animated Short Film was won by Shaun Tan's 'The Lost Thing'. I posted about this short before when mentioning its Oscar nomination. I was hoping it would win, but assumed 'The Gruffalo' would be taking home the award. 'The Lost Thing' was up against 'The Gruffalo', 'Day & Night', 'Let's Pollute and 'Madagascar, Carnet De Voyage'. Best Visual Effects was won by 'Inception'. 'Inception' was up against 'Alice In Wonderland', 'Harry Potter And The Deathly Hollows Part I', 'Hereafter' and 'Iron Man 2'. Commissioned by the advertising agency Nordpol + Hamburg, ‘Mabona Origami’ designed the origami models and consulted the stop motion as well as the computer animators of this worldwide corporate movie that tells the story of the Japanese sports brand ASICS. The movie won a Grand Prix at the Eurobest, gold at the New York festival, gold at the London International Awards, silver at the Clio in Miami and two times bronze at ADC Germany back in 2008. This is a promo trailer for the forthcoming Thundercats anime reboot for Cartoon Network. After viewing this trailer I'm holding out hope that it's going to be pretty good. It looks like they've stayed true to the original story and characters and maybe even improved upon the premise giving it more depth. Fingers crossed. Invader Zim was an absolutely brilliant cartoon on Nickelodeon sadly cancelled back in 2001. Last March Nickelodeon looked into bringing Zim back for a third series, but didn't due to a lack of demand. I think the fact a network is considering re-comissioning a show that's been off the air for 9 years must show it has a pretty strong fan base. As a compromise Nickelodeon has just released a best of DVD called 'Operation Doom', the DVD features 13 classic Zim episodes (nothing new). The original DVD release is now pretty scarce, with the limited edition box set selling for £100.00+ on EBay. Even if you already own the original release it might be worth buying this best of anyway as Nickelodeon have stated that if the DVD sells well they will reconsider their position on a third season. Buy this DVD and hope Nickelodeon recognises Zim's potential and bring it back in time for a 10th anniversary rebirth. Animation began in France, and for over 100 years French animators have remained devoted to their own artistic and technical traditions. Today, France is the third largest producer of animation in the world, and French animation is truly a unique product of the country’s rich cultural, economic, and technical background. French Animation History is the first book dedicated exclusively to this vital element in the history of cinema, and reveals how French animators have forged their own visual styles, narrative modes, and technological innovations to construct a distinct national style, while avoiding the clichés and conventions of Hollywood’s commercial cartoons. During the past decade, scores of important French animated films have been restored and released on DVD from archival prints, making many of the titles mentioned in the book available for classroom use for the first time. The book includes more than 80 colour and black and white images from the most influential films, from early silent animation to the internationally renowned ‘Persepolis’. French Animation History is essential reading for anyone interested in the study of French animation, illuminating the exceptional place France holds within the history of world cinema. Shugo Tokumaru's fourth studio album 'Port Entropy' is a current favourite on my CD player. I was glad to see that the three single tracks from the album all had animated music videos giving me an excuse to post them on here. This is a short advert for the Brazilian radio station Oi FM animated by Giroscopio Filmes. I didn't think at first it was animated with actual paper cutouts, but this making of video clearly shows it is. Very neat. I just stumbled upon this short animation by Chris James made in 1978. It's an incredible example of the quality of animation that can be achieved with just pen and coloured pencils. The film was runner-up in the Grierson Award for Best Short Film of 1978 and was screened on the inaugural day of Channel Four television in November 1982. Amsterdam freelance animator Marlies Van der Wel just posted this carefully crafted whimsical short on his vimeo page. The film was made for the ‘Obstacle Series’ of a Dutch sports brand called Protest. They asked filmmakers to make a film about snowboarders and their obstacles. Although it is commisioned, it feels more like free-work, as there were no restrictions set by Protest. Head on over to Cartoon Saloon's shop where you can currently pick up a personalised watercolour by Secret of Kells director Tomm Moore. There are two sizes available: small at 25 Euro & large at 80 Euro. You even get to pick which characters you would like and how it's personalised. I recently watched Fritz Lang's 'Die Nibelungen' and Margarete Schöns character has this wonderful animated dream sequence (see the video below). I only just discovered that the animation was done by Lotte Reiniger in 1924, which would have been during the time she was working on her masterpiece 'The Adventures Of Prince Achmed'. Prince Achmed was completed in 1926 and considered to be the oldest surviving feature length animated movie. Although it failed to find a distributor for over a year, upon its release at the Cannes Film Festival it became a critical and popular success. Reiniger became a celebrated pioneer of silhouette animation. She had created all the characters and cut out every single silhouette herself, colour-tinting the 300,000 frames by hand. Taking the ancient art of shadow-plays, as perfected in China and Indonesia, she adapted it brilliantly for the cinema. It was a true labour of love. BFI released a DVD collection of her short films as well as a fully restored (with a new recoding of the original soundtrack) version of 'The Adventures Of Prince Achmed'. It's a very distinctive unique way to animate and all her work is worth watching, it's simply beautiful. 'The Cat Piano' is a short film directed by Eddie White & Ari Gibson for the Australian People's Republic Of Animation. Due out on DVD this month, there is already a limited signed edition of the Blu-Ray periodically available through their EBay listings. It’s a very stylish piece of animation with its monochromatic colour palette and similarities to jazz album covers. Nick Caves beat poetry narration is spot on. Well worth a watch. 'A Letter to Momo' is the next big project coming out of Production I.G., the folks behind 'Ghost in the Shell' and 'Jin-Roh', as well as a lot of other stuff that's pretty awesome. And from the looks of the team behind 'A Letter to Momo', this might end up awesome as well. It's going to be directed by Hiroyuki Okiura (who did 'Jin-Roh'), and its animation will be supervised by Masashi Ando (behind 'Spirited Away' and 'Princess Mononoke'). The other key animators include folks from 'Evangelion 2.22', 'The Sky Crawlers', 'Tokyo Godfathers', and 'Summer Wars', as well. Even the background art comes from Hiroshi Ono, who worked on 'Kiki's Delivery Service'. That's quite a roll call. This is a short trailer for the next Studio Ghibli feature film 'The Borrower Arrietty'. Released July 17th 2010 in Japan, there won't be a English release until 2012. I don't know if I can wait that long. I just watched a deliciously beautiful and somewhat disturbing new trailer for the upcoming PS3 and Xbox 360 sequel to 'American Mcgee’s Alice' entitled 'Alice: The Madness Returns'. ‘Regular Show’ is an American animated television series created by J. G. Quintel (formerly a creative director for ‘The Marvelous Misadventures of Flapjack’). The series was originally developed as a short for Cartoon Network's short-lived ‘Cartoonstitute’ project, and features characters loosely based on those from Quintel's student films ‘The Naïve Man From Lolliland’ and ‘2 In The AM PM’. It was greenlit for its own series on August 13, 2009 by Cartoon Network and debuted on September 6, 2010 in America. ‘Regular Show’ debuts on UK television next week, I know I’ll be watching. The plot: Two 23 year old friends, a blue jay named Mordecai and a raccoon named Rigby, work as groundskeepers at a park and spend their days trying to entertain themselves by any means, much to the chagrin of Benson, a high-tempered gumball machine, and Skips, a yeti, but to the delight of Pops, a naïve English gentleman with a lollipop-shaped head. Muscle Man, an overweight and green man, and High-Five Ghost, a ghost with a hand extending from the top of his head, are both neutral about Rigby and Mordecai's shenanigans. The episodes usually revolve around the two's personal life such as obtaining concert tickets, getting food, or making up for a mess they have caused, often leading to highly surreal and unusual events. Sounds pretty weird doesn’t it? Should be good. This video clip appears to be leaked footage from the ‘ThunderCats’ CGI movie that was planned by Warner Brothers but which was subsequently scrapped in favour of the anime style reboot series that is due to be released in America sometime later this year on Cartoon Network. The ‘Thundercats’ anime will be handled by Japanese animation studio Studio 4°C, via Warner Bros Animation. You might know Studio 4°C as the makers of the ‘Animatrix’ and ‘Batman: Gotham Knight’ – they also have experience making animations for video games, music videos and commercials. To be honest I think the CGI movie promo looks quiet poor (I’m hoping it’s just a quality piece of fan work), whereas the new anime series looks like it could be quite cool. What do you think? This is the trailer for the amazing short film 'The Eagleman Stag' directed by Michael Please. It won the 'Short Animated Film' category at the BAFTA's last Sunday. This incredible film is actually a monochrome in-camera stop motion. As well as the trailer I've included a video time lapse of Michael at work. The 'Animated Feature Film' award had three nominations, 'Despicable Me', 'How To Train Your Dragon' and 'Toy Story 3'. 'Toy Story 3' took home the award, accepted by director Lee Unkrich. The 'Special Video Effects' award had five nominations, 'Alice In Wonderland', 'Black Swan', 'Harry Potter And The Deathly Hollows Part1', 'Inception' and 'Toy Story 3'. 'Inception' took home the award, accepted by Chris Corbould, Paul Franklin, Andrew Lockley and Peter Bebb. The 'Short Animation' award had three nominations, 'Matter Fisher', 'The Eagleman Stag' and 'Thursday'. 'The Eagleman Stag' took home the award, accepted by director Michael Please. A very nice animation-movie from 2002 with Charlie Brown and all the other peanuts. 'A Charlie Brown Valentine' was the first Peanuts special to be produced after the death of Peanuts creator Charles M. Schulz in 2000. It also marked the first time a Peanuts special was animated with Digital ink and paint vs. Traditional cel animation. It also utilised the drawing style similar to the comic strip, with a white outline around Lucy's hair and Snoopy's ears (this was dropped in future specials). The DVD collection includes 15 short animated films created by the highly regarded Japanese animator between 1987 and 2007, including the acclaimed 'Mt. Head', which received an Oscar nomination for Best Animated Short Film of 2002. Other titles featured are the 2003 English-language 'The Old Crocodile' and the 2007 title film, a nightmarish, drawing-on-paper rendering of the famed short story and winner of seven Grand Prizes at major animation festivals worldwide. Koji Yamamura is considered one of the greatest independent Japanese animators of this generation. Born in Japan in 1964, he has been crafting animation since age 12 by combining traditional drawings with mixed media such as modeling clay, still photography and painting. Yamamura has fashioned entirely distinctive, stunningly imaginative worlds with free-spirited creativity. If you have a region 1 encoded DVD player I highly recommend purchasing a copy of these wonderful films, hopefully a region 2 release may follow. 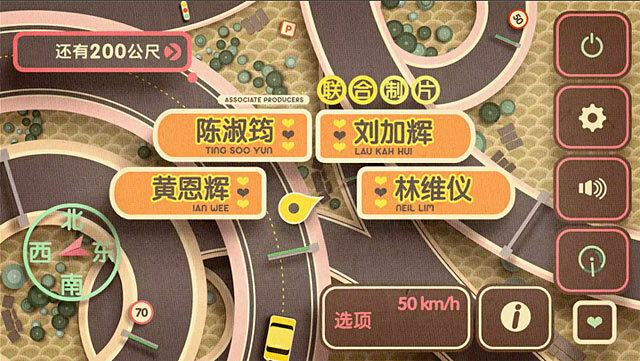 Check out this end credit sequence for the telemovie romance 'Love In A Cab' – designed and animated by Mojo in Singapore. Using GPS as a visual vehicle to arrive at various credit slates was a relevant, entertaining and cute way to end the telemovie. You can see the end credit sequence in full on the Mojo website, just follow the link posted below. ‘Baby Snakes’ is a three hour long documentary starring and directed by Frank Zappa. The film merges live footage of Zappas 1977 Halloween concert in New York, back stage antics, band interviews, and mind-bending claymation stop motion animation by Bruce Bickford. Initially the film struggled to find a distributor despite Zappa editing the length down to a more manageable 90 minutes on the suggestion of some studios. Even with the new cut the film failed to find a distributor. The original cut was made available for a limited period via mail order directly from Zappa himself. In 2003 the film was made commercially available for the first time, distributed on DVD by Eagle Vision United States. The full 3 hours is a bit much, but it’s still worth tracking down the DVD just to see the Bruce Bickford stop motion animation. I wanted to post some older animated music videos so I thought I'd compile a list of my top 20 favourite ones. Let me know if you think there are any glaring omissions, whilst typing this I kept thinking of loads I would have loved to have been able to include. Directed by Ryan Quincy. Quincy is the animation director in charge of the 25 staff creating South Park. You can see the similarities in style between South Park and this video for Brooklyn based band Les Savy Fav. Although it has that paper-cut out look the animations are actually created digitally in Maya, with a colour palette based on scanned in construction paper. Yannick Puig, the man behind this beautiful video says the inspiration for this film came from Tibetan and Nepalese art. I can also see strong influences of Salvador Dali in the dream-like, surreal, long-legged creature in the video. Stunning. Created by Shynola, a group of four visual artists based in London, this music video for Lambchop is one of their best works. I've already posted about the excellent video they did in collaboration with James Jarvis and Nike, but you should also check out the David Shrigley Film 'Who I Am And What I Want'. The ‘Ghost Of Stephen Foster’ music video directed by Raymond Persi and Matthew Nastuk won the ‘Best Animated Music Video’ at the 1999 Vancouver Animation Festival. Very reminiscent of Max Fleischer style cartoons. Created by Los Angeles based Design and Visual effects studio BL: ND, the 'Crazy' video is animated in the style of a moving Rorscharch Inkblot Test. Animated, mirrored inkblots morph into another, while taking on ambiguous shapes. Both Cee-Lo and Danger Mouse appear in the shapes, as do the band's gunshot/heart logo. Some great claymation stop motion animation from Peter Lord at Aardman. Peter Lord and Aardman feature again higher up in this top 20 list. Can you guess what for? This is the video for 'Basin Street Blues' done by the animator Monkmus. This quote from Kid Koala sums up the laid back Monkmus approach to making a music video. "On two separate tours I was instructed by Monkmus to walk around the French Quarter of New Orleans and take a bunch of reference photos of balconies and street lamps etc. I then sent him (monkmus) the track, 2 rolls-worth of reference photos, and some gum. A year and a half later… this video was done. I don’t know where the inflatable alligator comes from... he so crazy. Anyhow… It’s a beautifully done video." This animated dice music video, similar in concept to The White Strips 'Fell In Love With A Girl' Lego video was directed by Wade Shotter for Factory Films and animated by Yukfoo and Wade. The video isn't GCI, it was all done by hand with real dice, very impressive. VFX experts 1st Avenue Machine have made creepy insects look even weirder for this amazing video for 'Ted' by Clark. Computer generated additional body parts we realistically rendered and tracked onto close-up footage of real insects using 3Dmax and AfterEffects. ‘Interstella 5555: The 5tory of the 5ecret 5tar 5ystem’ is a feature-length Japanese animated musical film made to accompany the Daft Punk album, Discovery. Each track from the album has been animated as an episode in the story of the abduction and rescue of an interstellar pop band. This music video for ‘One More Time’ is the opening episode to the interstella 5555 film. I really admire the creative work Daft Punk put into their image and visual creativity as well the music. Their live action short film ‘Electromo’ is also brilliant. Animated by Joel Trussell, this video sees Vikings being sidetracked by the need to stage a gig. Done in Joel's distinctive Flash animation style, it reminds me of Genndy Tartakovsky's 'Samurai Jack'. Joel Trussell did a second video for Jason Forest's track 'Paris is On', which is also pretty good. Great video for Japanese breakbeat musical duo Hifana. The amazing animated music video for 'Extra' by Ken Ishii was directed by Koji Morimoto, the animation director behind anime classic 'Akira'. Not my kind of music, but the video is utterly brilliant. This isn't my kind of music either, but it's all about the animation. The stop motion in the video for 'Sober' by Tool takes place in a grim nightmare world. With its dark imagery and disorienting cuts, the video reminds me of a Quay Brothers film. Animated by Fred Stuhr, whose promising animation career was cut tragicly short when was killed in a car accident at the age of 30, 'Sober' will remain a tribute to Stuhr’s amazing talent. The ‘Fell In Love With A Girl’ music video is a LEGO stop motion animation directed by Michel Gondry. It was shot frame by frame with each frame having the LEGO bricks rebuilt, sometimes in a complex manner to seem as if it were an actual shot, and then formed together to give the illusion of motion. The video was directed by Steve Barron (director of the first Teenage Mutant Ninja Turtles movie) and animated was done by Candace Reckinger and Michael Patterson. The premise and the song are incredibly 80s, which may or may not be your thing, but the video itself holds up remarkably well and utilises the Ralph Bakshi style of rotoscoping animation to great effect. This video was directed by Kevin Altieri, a director on 'Batman: The Animated Series' and 'The Spectacular Spider-Man' and Todd MacFarlane, the creator of the comic book 'Spawn'. The video reminds me of films like ‘Heavy Metal’ and its distinctive stoner-type animation style. I know it's a pretty obvious choice for the number one slot, but it is an incredibly brilliant piece of animation. The video shows several different animation techniques including claymation, stop motion and pixilation (the incredibly difficult process of stop motion animating a real person). Nick Park, of Wallace and Gromit fame, did his first stop motion work for Aardman in this video, the Quay Brothers provided their skills also. In short this video acts as a showcase for a lot of today’s top talent in animation. The 2011 Annie Awards were given out last Saturday and there has been no shortage of coverage on the controversy surrounding this year’s ceremony. The controversy centres on the way winners are selected. The Annie Awards rules stated that industry professionals who purchased an ASIFA-Hollywood membership could submit a ballot and vote for the categories concerning their particular field (For example, only storyboard artists are allowed to vote for the best storyboarding in a feature production). This upset Disney because Dreamworks had been issuing all of their new employees ASIFA-Hollywood memberships once they were hired. Disney clearly felt that Dreamworks, also one of the biggest sponsors of the Annie Awards, were creating a pool of judges with a majority predisposed to vote for Dreamworks productions. Disney severed all links with the ceremony, removing its sponsorship, and refusing to nominate its works to be entered into the awards. This did not mean that Disney and Pixar would have no chance at the Annies. Individuals who worked on the films could still submit their work for possible nomination without the studios backing. As you might expect Dreamworks won the majority of the awards on the night, receiving ten awards for ‘How To Train Your Dragon’ and five awards for ‘Kung Fu Panda Holiday’. Disney took home just one Annie for Pixar’s ‘Day and Night’ in the best animated short category. 'The External World' is a short film by David O'Reilly. This incredible animation is a seriously dark but occasionally funny meditation on the anxieties and fears entrenched in modern life. The film premiered at last year's Venice Film Festival, and is currently playing at various festivals around the globe, but was posted online for the first time yesterday. The version that O'Reilly has posted is, according to his website, updated with a couple of scenes that didn't feature in the original. 'Jackboots On Whitehall' is due out on DVD on the 14th of February. Hopefully they'll have sorted the problem they had with the rental version of the film. It was released missing a big chunk in the middle and they all had to be recalled. This one has passed me by until now, I don't remember seeing it advertised at the cinema, possibly a straight to DVD release despite the British A-list voice acting talent. The film stars, amongst others Ewan McGregor, Richard E. Grant, Timothy Spall, Tom Wilkinson and Stephen Merchant. 'Jackboots On Whitehall' is a 'Team America' like satirical alternative history of World War II where the Nazis seize London and England must band together to prevent a full on invasion. The 'Rio' advert is particularly interesting as it’s the first advert to be screened with an embedded-code. Hyping Fox's 3D animated film 'Rio' through a tie-in with Rovio's popular 'Angry Birds' mobile game. The ad invites viewers to pause the action and seek out the code frame by frame to access a special level of the game. Oh, if your interested the Green Bay Packers won the Super Bowl. Fans of Academy Award nominated ‘The Secret Of Kells’ or ‘Skunk Fu’ will be pleased to know that Cartoon Saloon are working on a new feature length animation called ‘Song Of The Sea’. Directed by Tomm Moore and currently in production, were unlikely to see this on our cinema screens until 2013, but just from this conceptual trailer I think it’ll be worth the wait. Whilst on Cartoon Saloon’s website I also noticed they’re working on a feature length ‘Skunk Fu’ called ‘Exit The Dragon’, which should also be pretty awesome. Sand animation, also known as sand art, is a term which has two meanings. It is the name given to a style of live performance art, and also to a type of stop motion animation. In a live performance the artist creates a series of images using sand, a process which is achieved by applying sand to a back-light surface and then rendering images by drawing lines and figures in the sand with one's hands. The process for an animation is much the same. However, with each slight movement of the sand the image is shot as a single frame, much in the same way as a stop motion animation. I’ve included here an example of each process. The first is a live performance by Kseniya Simonova, the winner of 2009’s Ukraine's Got Talent. Here she recounts Germany conquering Ukraine in the Second World War. She brings calm, then conflict. A couple on a bench become a woman's face; a peaceful walkway becomes a conflagration; a weeping widow morphs into an obelisk for an unknown soldier... It’s quiet moving. If British TV talent shows were this varied I might be tempted to watch. The second film is an animation by Caroline Leaf, who is known for her work as a sand animator, but has also done some stunning shorts in a similar method by painting directly on glass under the camera. This film ‘The Owl Who Married A Goose’, made in 1974, is an adaptation of an Inuit legend. ‘Le Royaume’ (The King And The Beaver). Students graduating film 2010 at Gobelins, L'école de l'image. Written, directed and animated by Nuno Alves Rodrigues, Oussama Bouachéria, Julien Chheng, Sébastien Hary, Aymeric Kevin, Ulysse Malassagne & Franck Monier. In September 1980, independent film-maker Bill Brand installed a type of linear zoetrope he called the 'Masstransiscope' in an unused subway platform at Myrtle Avenue in Brooklyn, New York. It consisted of a linear wall with 228 slits in the face. Behind each slit was a hand-painted panel. Riders in subways moving past the display saw a motion-picture within. After falling into a state of disrepair, the 'Masstransiscope' was restored in late 2008. Since then, a variety of artists and advertisers have begun to use subway tunnel walls to produce a zoetrope effect when viewed from moving trains. Very nice song by JP Nataf and an even nicer video. It’s a beautiful animation of a little character who’s taking a journey to discover France and its landscapes. It’s a bit of a sad story, but I hope you’ll enjoy it! Mark 'Thurop' Van Orman is an American TV writer, director, producer, animator, storyboard artist, storyboard director, singer and voice actor. He is known for being the creator of the animated series 'The Marvelous Misadventures of Flapjack', which is one of the best Cartoon Network shows ever. He was also a storyboard artist for 'Camp Lazlo', 'The Powerpuff Girls', and 'The Grim Adventures of Billy and Mandy'. He is currently working on a stop motion film project entitled 'Black Forest', which looks like it's going to be awesomely funny and creepy. I like this new advert for VW. Produced by The Mill head office in London and MJZ director Dante Ariola. After 10 months of production the very last frame of Studio Soi's new short 'Princess' Painting' was rendered yesterday. The film produced for German broadcaster ZDF was directed by Klaus Morschheuser and Johannes Weiland, written by Marcus Sauermann and designed by Uwe Heidschoetter. 'Princess' Painting' already has been chosen to be screened at Germany’s children’s film festival Goldener Spatz as well as the Trickfilmfest Stuttgart. So, head to Germany to be be one of the first to watch the fairytale about a spoiled, little princess and her ambitions as a painter. Mc Bess is an artist, illustrator, VFX animator and musician (he's a talented chap!) This is the music video for 'Wood' by his band The Dead Pirates. It's a couple of years old now but I've just been reading issue number 4 of Nobrow magazine, which features work by Mc Bess amongst others. In their desire to create a unique artistic medium Russian-born French filmmaker Alexandre Alexeïeff and his collaborator Claire Parker conceived the pinscreen, a rectangular white screen into which hundreds of thousands of headless pins are inserted. By retracting or pushing out groups of pins and adjusting light sources, Alexeïeff discovered that all possible shades of gray could be achieved and that the resulting three-dimensional shapes created the effect of an animated engraving. 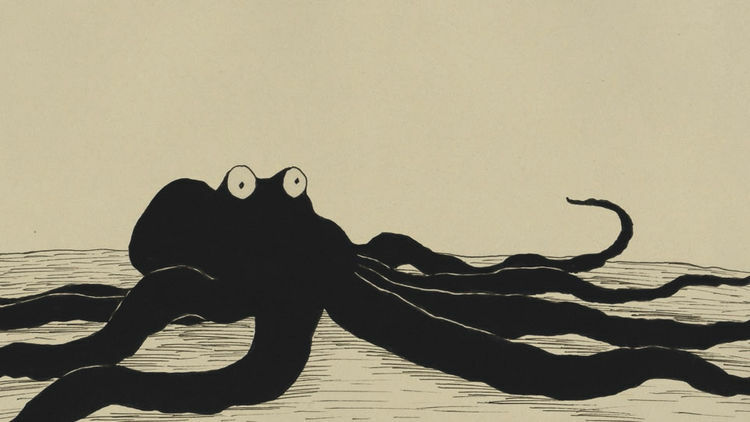 The process is extraordinarily difficult and time-consuming; Canadian filmmaker Jacques Drouin is the only animator other than Alexeïeff to have mastered the medium. The prologue scenes of Orson Welles film 'The Trial' were created by Alexandre Alexeïeff and Claire Parker using the pinscreen. It's a common misconception that these prologue scenes were charcoal sketches drawn by Orson Welles himself. This just shows how much depth of shade and engraving-like quality that could be achieved with the pinscreen. I've included a video of the prologue to 'The Trial' and a video of Alexandre Alexeïeff demonstrating the complexity of the pinscreen process. I'm not really a fan of Mark Ronson, but I thought this new 8-bit style video was pretty cool. Directed by Gary Breslin and Jordan Galland for Colombia Records.